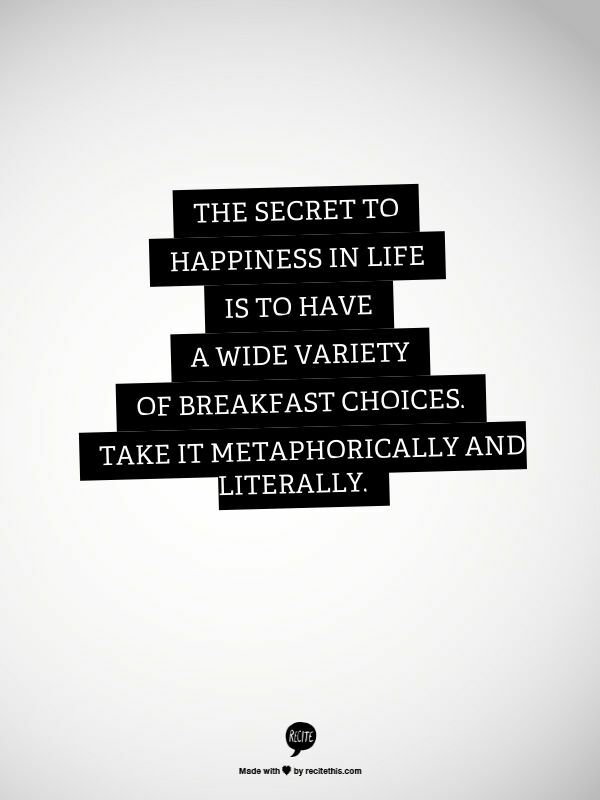 The secret to happiness in life is to have a wide variety of breakfast choices. This is an actual, original Julianism. Another reason why I am widely known for being so very &^#*ing happy all the time.